Navigate to Company>>Guards, select the Guard of your interest and press "Edit"
Under the "Tracking" section on the new screen that will appear, enable the Tracking feature by checking the "Enabled" checkbox and adjust the "Check Interval" (i.e. Time interval between position updates) as per your preference. 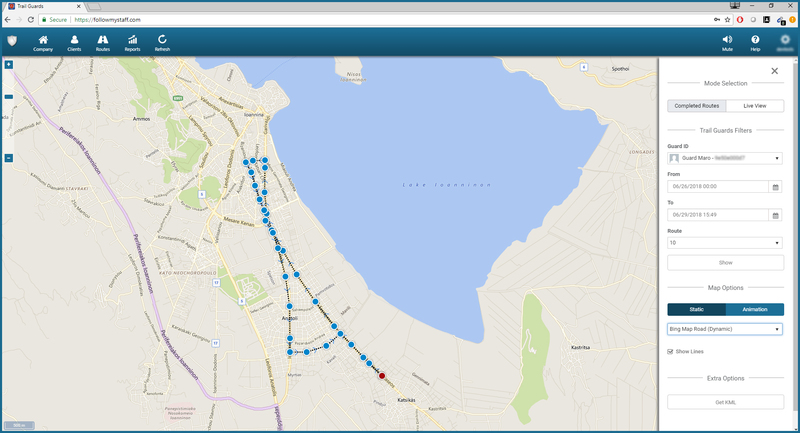 Under "Mode Selection", you have the option to view your Guards' completed routes by selecting "Completed Routes", or a live view of their current ones with "Live View". 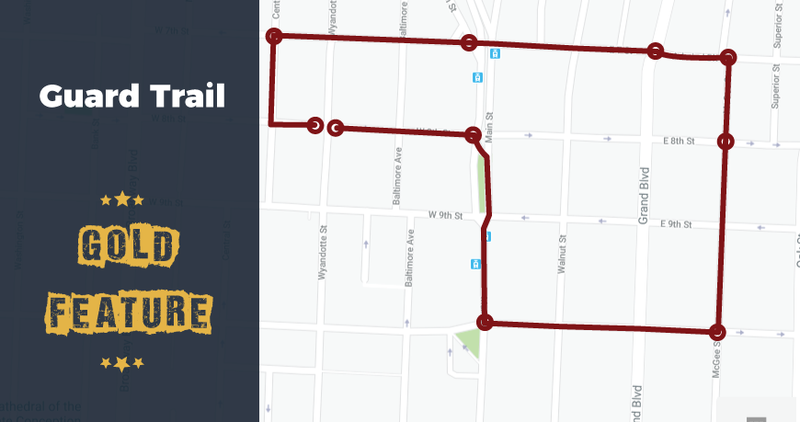 Define a date using the filters "From" and "To"
Under "Map Options", you can either select the "Static" or the "Animation" option for the Trail depiction; the latter one depicts the Trail in an animated way – to start the animation, adjust the speed to your preference and press on "Start Animation". Under "Extra Options", you have the option to export a KML file by pressing on "Get KML". Select the map layer you prefer and Enable/Disable the "Show Lines" and "Follow Last Position" options according to your preferences. Note: Guard Trail feature is available on GOLD version - for any question or inquiry, contact our sales team!